If you aren’t a fan of popular holiday destinations, sailing the Mediterranean is your gateway to the most exquisite water routes of the world. 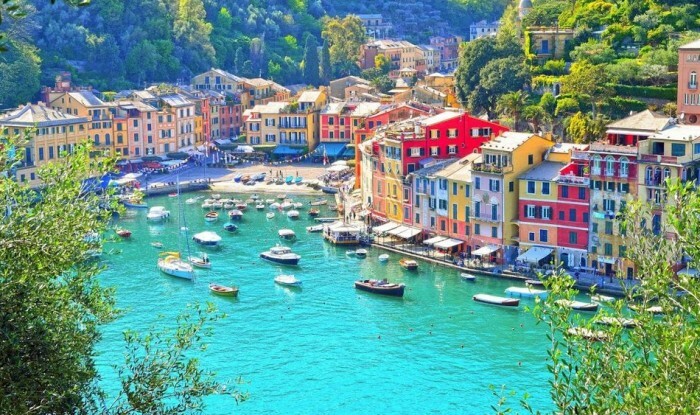 With a variety of beaches and yacht harbors, the Mediterranean won’t deprive you of a unique tourist experience. On the contrary, it will surprise you with rich biological and cultural diversity which can hardly be spotted in a loud crowd on the land. The waters of the Med provide a peaceful retreat from the busy life in the city. To make sure, let’s delve into the best sailing destinations in the Mediterranean. 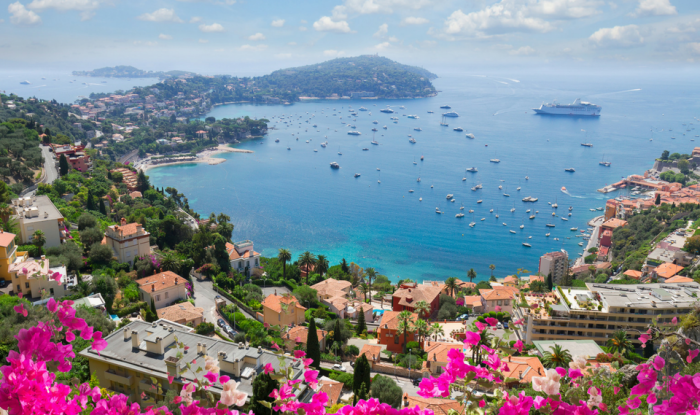 Nothing should stop you from taking France's best yacht route to explore the Côte d’Azur. It is an iconic French landscape with numerous national parks and famous destinations like Antibes, Cannes, Monaco, Nice, and St-Tropez. Throughout the whole year, these chic hubs where parties never stop attract elite visitors. While these resorts might be teeming with tourists who want to have at least a glimpse of celebs, a nice boat tour to Île de Porquerolles can reveal another side of the French Riviera. Île de Porquerolles is the biggest Hyéres Island where the air is filled with the delicate scent of eucalyptus and pine. With unspoiled natural beauty and jaw-dropping scenery, the island can capture the hearts of the most jaded travelers. Used to the sounds of water, your ears won’t suffer from traffic noise as there are no cars on the island. It is the best place for those who are longing for a reprieve from sailing along the lively coastline of the French Riviera. Sea excursions to other islands are also rewarding for both mind and body. No doubt, the Côte d’Azur has numerous sailing venues that can satisfy all tastes. The stunning coastline of Croatia is comprised of more than 1,000 islands, which makes sailing from Dubrovnik to Korcula and other islands an off-the-beaten-track experience. When you decide to cruise Croatia on a yacht, you strengthen your bond with nature. Crystal clear water and breathtaking sunsets not only evoke great awe for the views but also allow you to forget about technologies and duties. The islands provide myriad possibilities to explore the nature and culture of Croatia. For example, the national park on the island of Mljet offers interesting hiking and biking tracks. A charter yacht from Dubrovnik can take you to the Benedictine monastery of St Mary which dates from the 12th century. Another dazzling island where stylish restaurants and medieval architecture coexist is Hvar. 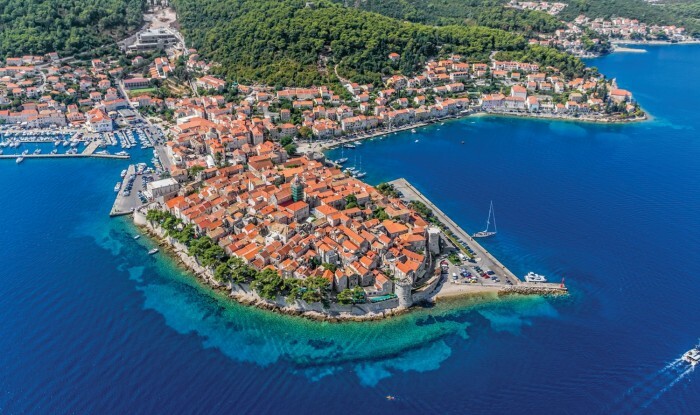 But the most popular island is Korcula which has been maintaining high standards of hospitality for many centuries. Croatian island complexes on the Dalmatian cost can also be explored in a more adventurous way. Yacht Week takes you on an unforgettable route through the coolest destinations in Croatia. Thrilling beach and water parties create a perfect combination for a remarkable sailing holiday. The routes start from different places. From Split, Yacht Week heads to Vis, Komiz, and Hvar. More mellow cruises are also available for those who travel with children or don’t want to drink and party. Being close to Montenegro, you can also embark on a Montenegro sailing tour which starts and ends in Dubrovnik. It is believed that Spain has the most charming and mesmerizing bays. 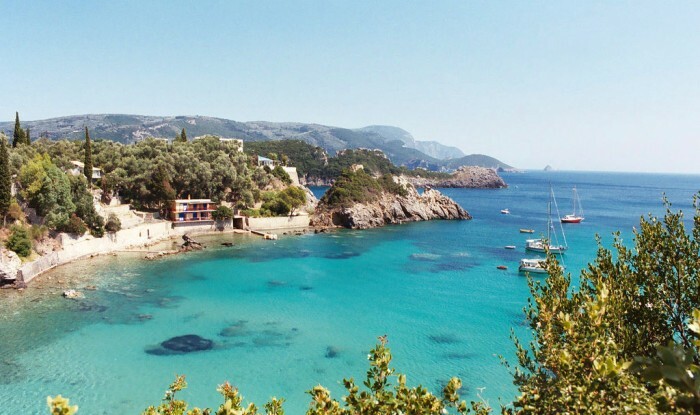 The most recognized coasts are Costa Brava, Costa del Sol, and Costa Blanca where it’s also possible to book a Balearic Islands yacht trip. The Balearic Islands attract avid sailors and travelers from around the world. The archipelago is located in the western Mediterranean Sea and has two groups of islands, consisting of Ibiza, Mallorca, Menorca, Formentera, and Cabrera. Every island has its special atmosphere and history. That’s why it’s worth visiting as many islands as possible on your sailing vacation. While Mallorca is the largest island with a well-developed infrastructure, Ibiza is a paradise for party animals. Those who are looking for the more secluded sailing destinations should not pass by Menorca with its intimate landscapes and emerald water. Don’t forget to sail to the Natural Park of Ses Salines which starts in the south of Ibiza and extends to the island of Formentera. Even from your yacht, you’ll marvel at marine and coastal ecosystems. The Med is a vast sailing hub which has an eclectic range of cultures and landscapes. The Turkish coastline is where West and East meet. It isn’t the only spectacular combination which boasts the Turquoise Coast yacht business. 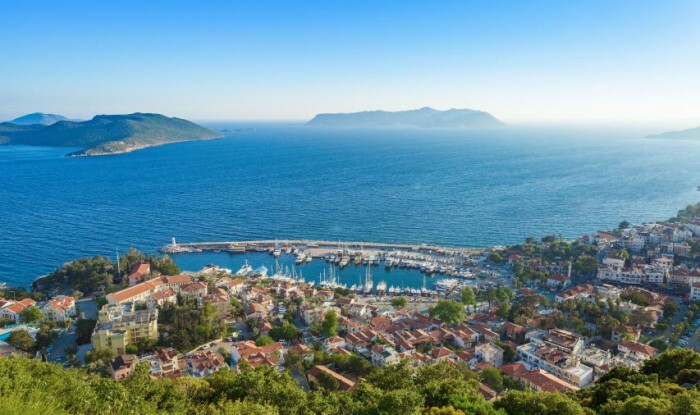 Famous for green covered mountains and azure waters, the Turkish Riviera is a magnificent sailing charter ground for both national and international sailors. The coast is a treasure trove of archeological sites. On a charter yacht, you can reach one of UNESCO World Heritage Sites-Ephesus. Located not far away from modern Selçuk, Ephesus symbolizes the magnificence of the Roman Empire. The remains of the Library of Celsus, the Great Theatre, and the Temple of Artemis are a must-see for everyone interested in ancient history. If you want to see genuine Turkish nature, moor your yacht in the vibrant city of Fethiye and go straight to the local market. You can also remain on board and sail to the picturesque lagoon of Ölüdeniz. Don’t miss a chance to look at a real ghost city-Kaya Köyü. The ruins of the Greek village are in the vicinity of Fethiye. In the pursuit of the best diving sites, yachts are usually anchored in the harbors of Antalya where culture and nightlife are highly developed. The pearl of the Turquoise Coast is Bodrum. Sailing in Bodrum means chartering a yacht near a medieval castle, a museum under water, and one of the Seven Wonders of the Ancient World — the Mausoleum of Halicarnassus. The coastline of the Bodrum Peninsula is rich in white-sand beaches. So, it’s an ideal place for an informative and relaxing sailing holiday. 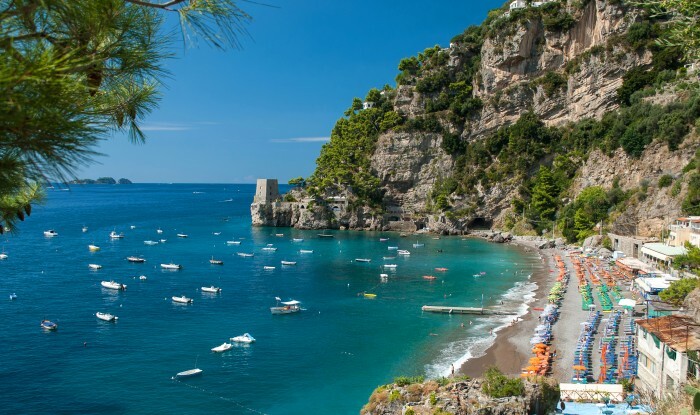 Everyone knows “when in Rome, do as Romans do.” However, when traveling along the Italian coastline, do as you want to do. But don’t forget to book a bareboat charter or a skippered board as you’ll want to stop in every harbor. One can hardly find anything as stunning as the Phlegraean Islands, the Amalfi Coast, the Pontine Islands, the Maddalena Archipelago, or the Aeolian Islands. No wonder Italy is one of the world’s most sought-after destinations as it’s the birthplace of one of the greatest civilizations in human history. Today, it offers various sailing tours aimed at introducing its culture. For example, Sardinia 7 days yacht trip reveals the beauty of the second largest island in the Mediterranean. It is a home for medieval villages and ancient monuments. With elaborate yachting charters, the island is also a popular hub among sailors. On the island, don’t miss an aperitif in Cagliari and enjoy the panoramic view of the capital of Sardinia. The Amalfi Coast has extraordinarily colorful vertical cities that captivate the imagination. The coast can be reached from large and small ports. A boat trip from Sorrento to Positano usually takes only a day. Just make sure that you aren’t late for the most popular summer music and arts festival — the Ravello Positano. When it’s time to get away from the crowd, sail to the volcanic islands near Sicily. To sail the Greek islands, you should learn to remain calm because countless islands, bays, and lagoons excite and enchant. There are so many that you’ll need all the time in the world to explore them. 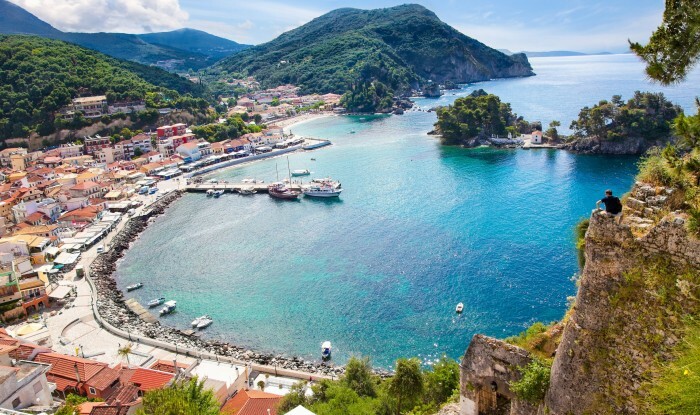 Begin with the breathtaking coastal scenery of the Ionian Islands, a famous starting point for a yacht charter holiday. While sailing there, you can’t miss seeing the Blue Caves and the Navagio Beach which are accessible only by boat. After, the Cyclades Islands with white houses and blue churches show how various cultures integrate even in the most distant places. The Dodecanese Islands also form only a tiny constellation in the universe of the Greek islands. Greece has numerous well-equipped marinas like Athens, Santorini, and Milos where sailors can receive quality service and broaden their horizon with the wealth of history and culture. 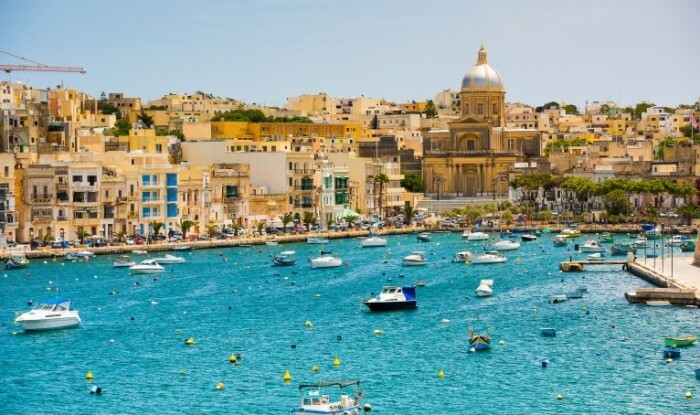 A Malta yacht trip in summer provides an opportunity to explore a beautiful island. The Valletta Harbor instantly reveals that time doesn’t have borders as past and present complement each other in the town. Malta’s best beaches are in Mellieha where palm trees and farmland are surrounded with light-blue waters. But, the most popular beach among sailors is St. Paul’s Bay which is hard to reach. If you look for an easier way to anchor a yacht, sail to St. Peter’s Pool and swim as long as you want. At night, a yacht can stay near the Blue Lagoon which will reward you with the most stunning sunrise. Malta might not have numerous islands, but it continues to interest many sailors with its unique harbors and local culture. TOP 5 yachts for the Mediterranean charter according to Sailica.